The PCB is seeking a Music Director to lead the band into the next decade. Our present director, Peter Sudbury, is retiring - read more in an article posted by the Examiner. The competition is now closed, and applicants are being evaluated. For information about the evaluation process, please visit our Employment Opportunities page (under What's Happening). 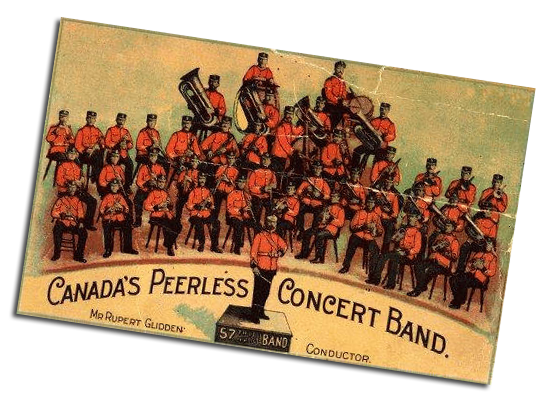 The Peterborough Concert Band is actively recruiting new players! If you'd like to join an enthusiastic and talented group of musicians in a community band environment, please Contact Us. New players are auditioned for a seat in the band. Percussion - must have ability to read percussion (snare, bass & kit, various toys, e.g., tambourine, claves) music. A bonus is to be able to read notation for instruments like xylophone & bells.